When we become aware of an alarming or otherwise difficult situation, we should be extremely careful: to form a seriously wrong opinion is all too easy; we may even be tempted to cast judgement on those involved. For several days, after being told about a very difficult situation affecting a family – who are our friends – these thoughts were in my mind and close to my heart. After stifling the temptation to open my mouth, and thus cast judgement, the Holy Spirit imposed upon me self control and I began to pray. This was wise, not as far as I personally was concerned but as regards the Spirit: very soon afterwards I learned something about this troubling family drama that earlier I’d been unaware of. Thus I understood the wisdom of holding my tongue and the importance of obeying the work of the Spirit, so as not to cast judgement and to hope that that which is hidden will be revealed. To have done otherwise would have been doubly wrong: not only would I have judged the situation; that judgement would have been mistaken. and hid, that shall not be known. Posted on marzo 8, 2019 by Diego Acosta Garcia	in (en) Devotional. Tags: DEVOTIONAL, Matthew, septimomilenio, Spirit. As I recalled a passage from Jesus’ ministry, I asked myself what would happen if He asked me to follow Him, as He had asked those who were to become His disciples. Though the two sets of circumstances are distinct, by listening carefully to the words each of them contain I can conclude that His command is for me personally. When you offered water to a person who was thirsty and in need, you were also offering that water to me. So too, when you commanded that your message be spread afar, you were commanding that I play my personal part in this. We often make the mistake of believing that generalised commandments do not require that we too respect and obey them. Every commandment must, however, be understood as applying to us personally, even though we might prefer not to hear it, or find inconvenient or otherwise dislike the manner in which we are required to obey it. I can ask myself two questions: What would happen if I disobey one of God’s commands? What would happen if God himself became tired of my rebelliousness? Our commitment must, therefore, be ever firm and unyielding. 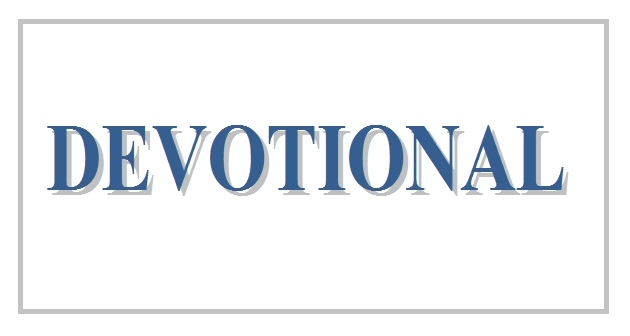 Posted on febrero 6, 2019 febrero 12, 2019 by Diego Acosta Garcia	in (en) Devotional. Tags: DEVOTIONAL, God, Jesús, Salmo, septimomilenio. A reading of the first chapter of the Book of Numbers can be somewhat surprising, even strange. We might ask why Jehovah invested such effort in defining the positions of those allowed to camp around the Tabernacle. Why was this so? A personal answer might lead us to analyse Jehovah’s concern that by making His instructions to Moses and Aaron clear, each of the tribes of Israel would be certain as to the exact nature of the order they should obey. If God cared about His tribes, why should He not care, too, about each of their individual members? Why is it so hard for me to understand His concern for my life? The Lord has always been concerned about Israel and I am certain, too, that He has always cared about my life. Knowing this, I must always follow and obey God’s instructions to me, even though I fail to understand them or find them strange. Everyone of the children of Israel shall camp by his own standard, beside the emblems of his father’s house; they shall camp some distance from the tabernacle of meeting. 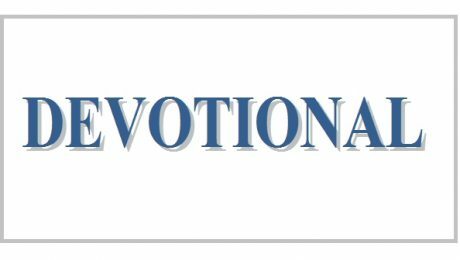 Posted on enero 21, 2019 febrero 12, 2019 by Diego Acosta Garcia	in (en) Devotional. Tags: Book of Numbers, DEVOIONAL, God, Jehovah, Lord, Moses, septimomilenio, Tabernacle.